The Jeffersonian team investigates the murder of Jason Siedel, an accountant for the state department, whose remains were found in a hotel air conditioning unit. When Booth finds his old army buddy and CIA agent, Danny Beck, clearing away evidence at the victim's condo, he begins to realize that Siedel's murder could yield more suspects than the team had anticipated. 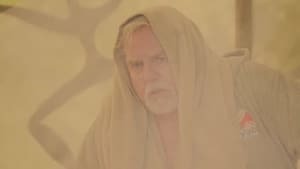 Booth also seeks out Aldo Clemens, his friend and an ex-priest from their military days together, to get advice on his relationship with Brennan, now that Pelant has put a wedge between them. Meanwhile, Brennan must decide whether to have faith in Booth or to end her relationship with him. The Jeffersonian team investigates the murder of Adam Pak, a management consultant whose remains were found being eaten by bobcats. When evidence leads the team to a marriage retreat site, Brennan and Booth go undercover as previous personas "Roxie" and "Tony" to try to find more evidence. While at the retreat, Brennan and Booth meet fellow married couple Bill and Evelyn Schumacher, whose relationship seems a little too perfect. The team devises a plan to use a donated cadaver to draw out Pelant; Sweets returns to work and believes Agent Flynn isn't who he seems. 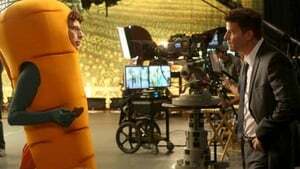 The team investigates the murder of a high school principal who was dying of cancer; Brennan and Booth plan their wedding; a virtual profiling system threatens Sweets' job. 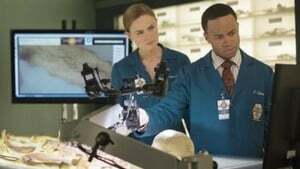 The Jeffersonian team investigates the murder of a food scientist whose remains were tossed in a meat grinder and mixed into cans of stew served in a school cafeteria. When the team uncovers the scientist's newest - and highly lucrative - food invention, they also track the trail of jealous competitors in the multi-million dollar food industry. Meanwhile, Angela plans a post-wedding bachelorette party for Brennan, which gets crazier than intended. 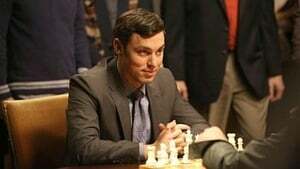 The team investigates when the remains of a girl who died 18 years earlier are delivered to Brennan and Booth's house; Brennan dreams about Pelant. The Jeffersonian team investigates the murder of Lauren Frank, a kidnap victim whose remains were found buried at a park. But when they discover the unhappy relationship that Lauren had with her stepmother, the team starts to think the killer was someone closer to the girl than expected. 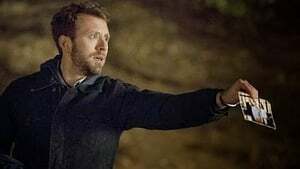 Meanwhile, Hodgins uncovers a shocking secret about his family and Brennan and Booth face a common couples dilemma - whether to co-mingle their funds. When a CIA informant is found murdered, Booth and CIA Agent Danny Beck (guest star Freddie Prinze Jr.) must work together to track down an Afghani terrorist. 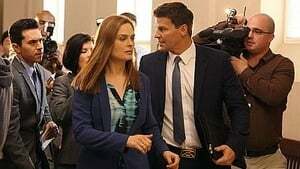 Meanwhile, Brennan wants to work more closely with Booth in the field, and the duo must confront the implications of what that means to their family. When an actor known for playing a popular character on a kids' TV show is murdered, unexpected suspects are discovered; Brennan and Booth plan a party for Christine's birthday; Clark asks for opinions on his novel. When a wealthy artifact collector walks into his own funeral, the team must determine the real identity of the deceased; Finn's new hot sauce venture is making big money. When the remains of a woman from a wealthy family are found in a national park, the team thinks she may be a victim of the Ghost Killer; Booth's career might be in for some changes. When the head swim coach of a community college is found dead at the bottom of the well, possible suspects think he may have been having an affair; Sweets covers for Booth in the investigation as Booth prepares for a congressional subcommittee.